Trinamic's TMCM-351 controls three compact two-phase stepper motorcontrols with up to 2.8A per phase. It offers an optional encoder interface as well as numerous analogue and digital I/O, all in an area of only 160x100mm. The TMCM-34x family consists of miniaturized 3-axis motion controllers in the format of a credit-card,each with different output interfaces. 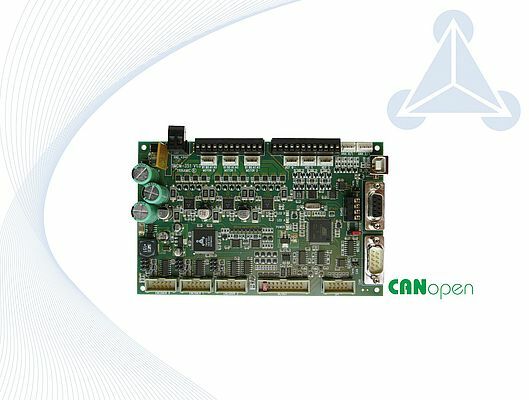 Beside the CANopen firmware all modules are available also with TMCL.